Some of the most powerful health supplements can often come from very ordinary products. And, recent research has shown that one of the best ways to fight harmful bacteria is simply to drink some lime juice. Limes, those deliciously tart citrus fruits, are often passed over at the grocery store in favor of lemons, but can be an important part of a healthy diet. Of course, this doesn’t mean you should stop eating lemons—they’re an excellent healing food that can help your liver get rid of toxins. But, limes are just as effective at protecting your health—particularly when it comes to combating harmful bacteria. Lots of supplements fight bacteria, but what makes limes special is which bacteria they fight—lime juice has been shown to be a potent potential treatment for malaria. Malaria is transmitted by mosquitoes, but the actual disease is caused by a parasite. People with malaria often experience some alarming symptoms, including fever, chills, and severe complications that can be fatal. In Africa, malaria is an ever-present threat to millions, particularly to children. In a recent clinical trial conducted in Nigeria, 120 children with acute malaria, who were managed at a children’s out-patient clinic, were recruited. Researchers wanted to determine the effects of lime juice on malaria parasite clearance. The children were randomized into treatment with World Health Organization-recommended antimalarial medications, either alone or with lime juice. The researchers found that the average time to achieve a greater than 75% reduction in parasite load was significantly lower in patients on antimalarial drugs and lime juice. Also, a significantly higher proportion of children who took a combination of antimalarial drugs and lime juice achieved complete parasite clearance within 72 hours of therapy. Even more telling, 10 of the patients not taking lime had early treatment failure. 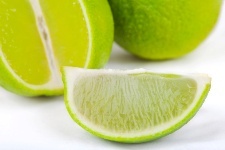 The researchers reported there were no side effects with the use of lime juice. They concluded that lime juice, when used with the appropriate antimalarial medication, may enhance malaria parasite clearance, especially in those with uncomplicated malaria. Since we know that lime juice could zap the parasite that causes malaria, it should also be able to kill off any milder invaders that can cause harm to your body. Consider lime juice a natural remedy that could fight bacterial infections. Adegoke, S.A., et al., “Effects of lime juice on malaria parasite clearance,” Phytother Res. October 2011; 25(10): 1,547-50.